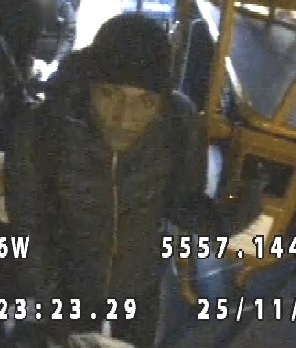 Police Scotland has today released a CCTV image of a man that officers wish to trace in connection with a serious assault in Edinburgh city centre. The incident happened at around 5.30 p.m. on Friday 25th November on Regent Road. A 27-year-old victim was on board a number 25 Lothian bus travelling eastwards along Princes Street when another passenger began to cause a disturbance. Both persons alighted near to the Apple store on Princes Street. The victim was then assaulted on Princes Street before being followed to Regent Road opposite St Andrews House where he was attacked again. The attacker then ran off up the steps towards Calton Hill. Officers believe that the man pictured will be able to assist them with the investigation and he or anyone who recognises him is asked to come forward. Detective Sergeant Neil Spowart of Gayfield CID said: “This was a vicious attack that caused considerable alarm to the victim as well as other members of the public. Given the central location of this incident and the time of day it occurred I’m hopeful that someone has information that can assist us.